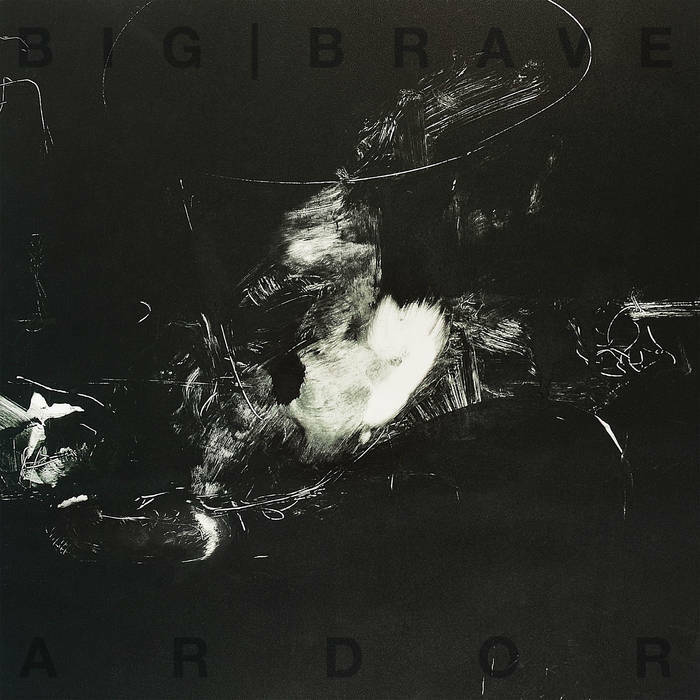 Big | Brave are an experimental doom band from Canada and this is their second album. This is minimalist experimental music, expressed as vast sheets of abstract soundscapes and diligently pieced together emotional compositions. Taking experimental rock and fusing it with doom’s sense of slow-building grandeur, the music on Ardor is slow, gradual, atmospheric, and surprisingly rich and textured for something so sparsely populated. Imagine a mix of Boris‘ experimental explorations, added to by Khanate’s grim, minimal doom, with a singer that combines the best aspects of Julie Christmas, Jarboe, and Björk. The vocalist’s sumptuous, quirky voice provides the main dashes of colour to the songs. Her emotive vulnerability sits well on top of the almost-inhuman sounding music; it’s a clash of worlds that probably shouldn’t work, but actually does incredibly well. Although her performance is the obvious focal point when she appears, and she also acts as the apex of the band’s emotive presence, the music definitely has its own impact. If these tracks were stripped of the singer’s presence and presented in their own right as instrumental songs, this would still be a Hellishly good album; the music has more than enough power and charisma in its own right. Combined with the singer that they do have, however, it becomes an even more transcendental experience, with her voice adding so much to music that already builds, creates, and maintains atmosphere with ease. These three songs are lengthy, engaging, and full of hidden textures and depths. Long after you’ve finished listening to them crawling, dirge-like through the playing time, you find yourself thinking about them. While the music says a huge amount with only a very little, the vocals provide a wide range of emotive vistas to explore, and it seems like every time you return to the album there’s something new to discover. Big | Brave have produced an album of worth and merit. It’s one that’s extremely enjoyable, and one that you should get on board with as soon as you can. This entry was posted in Doom and tagged Big | Brave, Björk, Boris, Doom, Experimental Doom, Experimental Rock, Jarboe, Julie Christmas, Khanate, Rock. Bookmark the permalink. Thanks for making me aware of this band. I now want to see them live. They are on a bill in Toronto with Child Bite and Unsane. That lineup sounds pretty fine to me.